Welcome to a new month! It’s hard to believe but the end of the year is just around the corner. But before we get there, let’s celebrate those born in November. Just like October, if your birthday is in November, you have two birthstones to choose from: topaz and citrine. Colorful, affordable, and beautiful, citrine and topaz jewelry are great additions to any jewelry box. Join us as we discover some gorgeous November birthstone jewelry by looking at some topaz and citrine jewelry pieces. Topaz stones come in an assortment of colors, which makes it ideal for use in jewelry. However, the most popular colors for topaz jewelry are orange and blue. 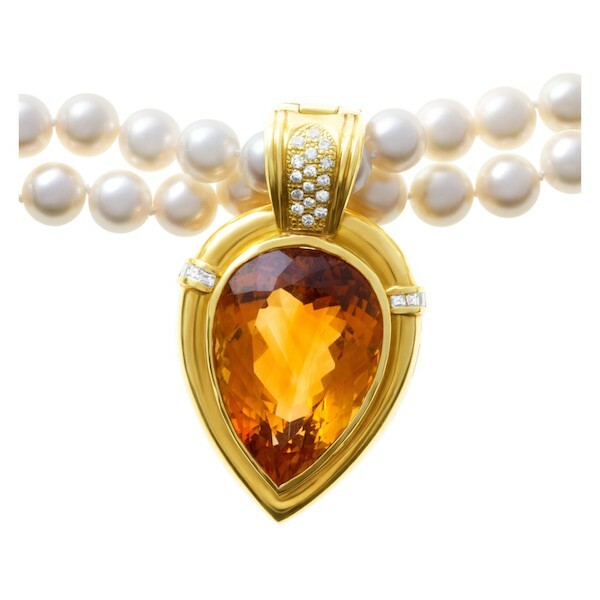 For orange topaz November birthstone jewelry, have a look at this unique and convertible Royal Golden Topaz and Diamond Pendant and Pearl Necklace set. At the heart of the necklace is a pear-shaped golden topaz stone set into an 18k yellow gold pendant adorned with diamond accents. You can wear the opera-length 34″ pearl necklace in a host of different ways. For instance, as a single strand, as a double strand, with or without the topaz pendant. 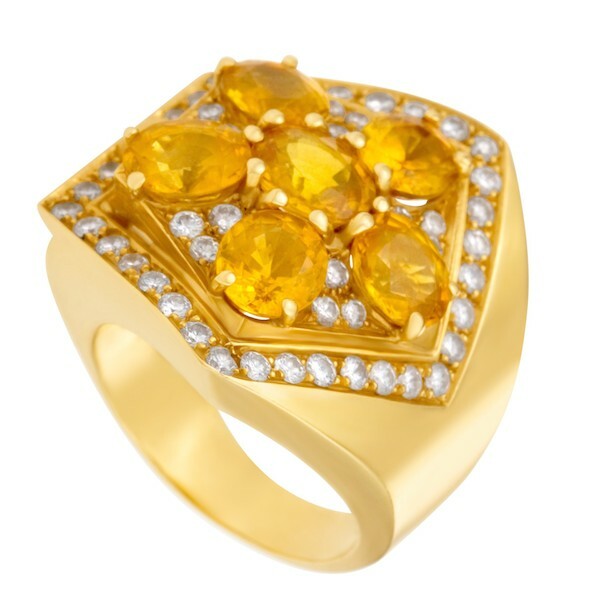 To match the yellow gold and golden topaz pearl necklace, you can opt for the Yellow Topaz Flower Ring. Flaunting a stunning floral motif at its center made up of oval-cut yellow topaz stones nestled in a bed of diamonds, this playful ring adds a touch of spring to the colder month of November. 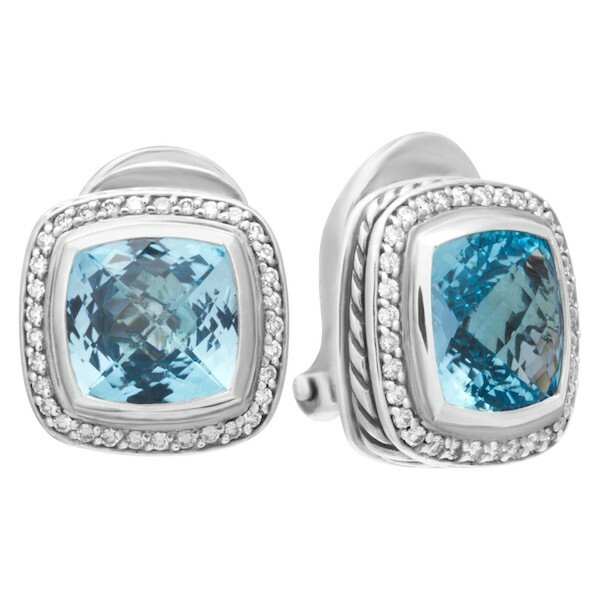 If blue topaz stones are more your preference, then we have a great collection to select from. For designer topaz jewelry, there’s a classic pair of White Gold and Blue Topaz Earrings by Bulgari in an appealing pyramid style. 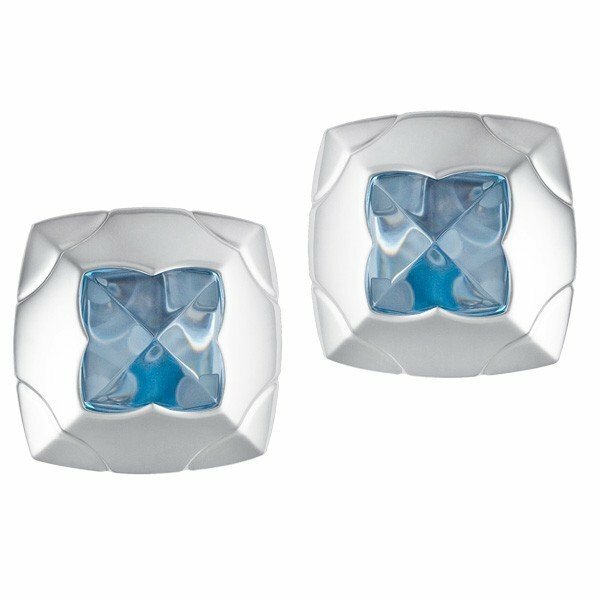 Alternatively, there are the David Yurman Sterling Silver Blue Topaz Earrings that not only features his signature cable motif but also has gleaming diamond frames. 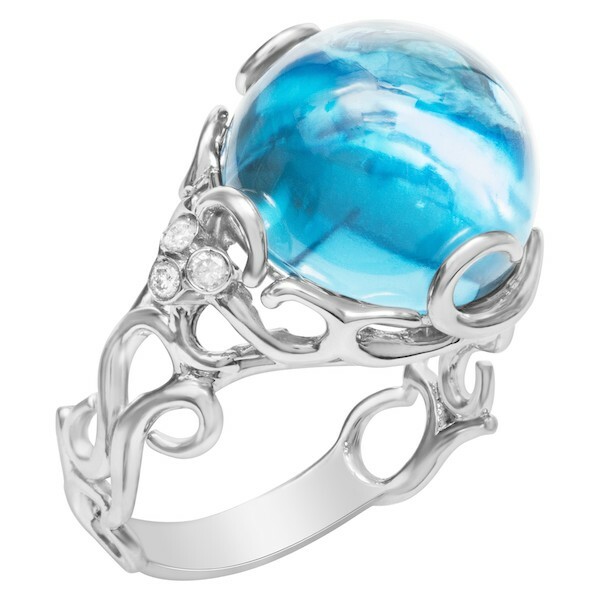 For a blue topaz statement ring, there’s the Blue Topaz and Diamond White Gold Ring with a beautifully vibrant round topaz housed in an intricate vintage-inspired white gold ring with a dash of diamond accents. Ranging from pale yellow to dark orange, citrine jewelry is as vibrant as a bowl of citrus fruits. Wear your November birthstone close to your heart with this glorious Diamond and Citrine Yellow Gold Brooch with a faceted citrine at the center flanked by over 1 carat of shiny diamonds. 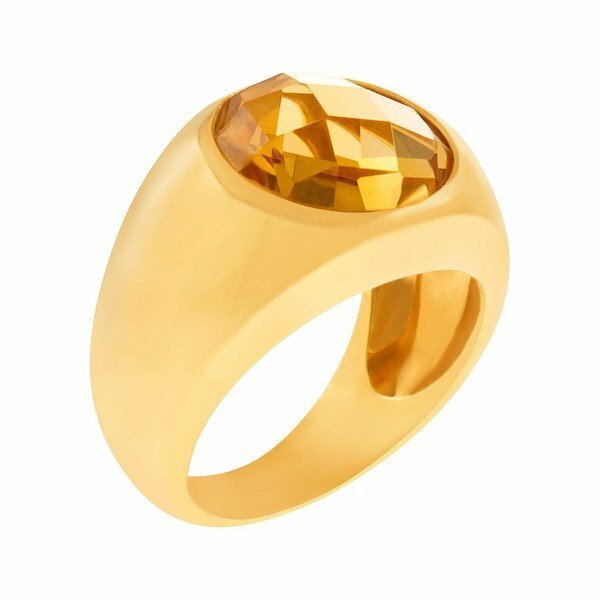 If you’d like to wear your November birthstone every day, then this 18k Yellow Gold and Citrine Ring is a stylish way to do so. However, for a truly unique citrine ring, then feast your eyes on this Modern Citrine Ring with Moving Diamond Hearts detailing. 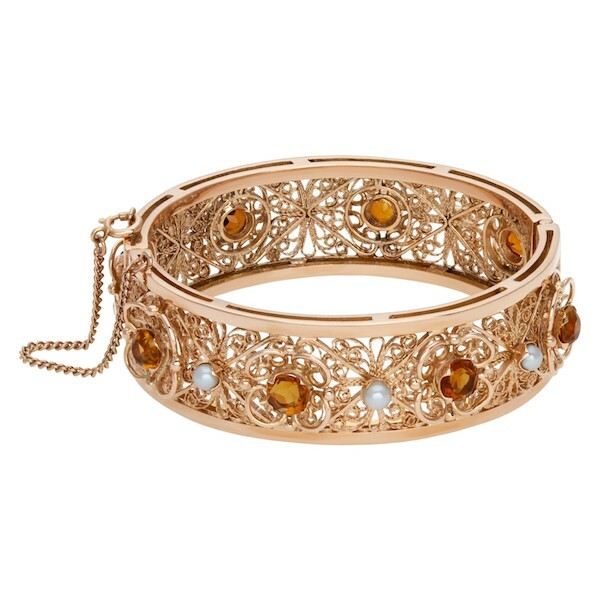 Another way to way citrine November birthstone jewelry is by donning a bracelet such as this vintage-inspired Rose Gold Bracelet with Citrine and Pearl accents and delicate filigree patterns. 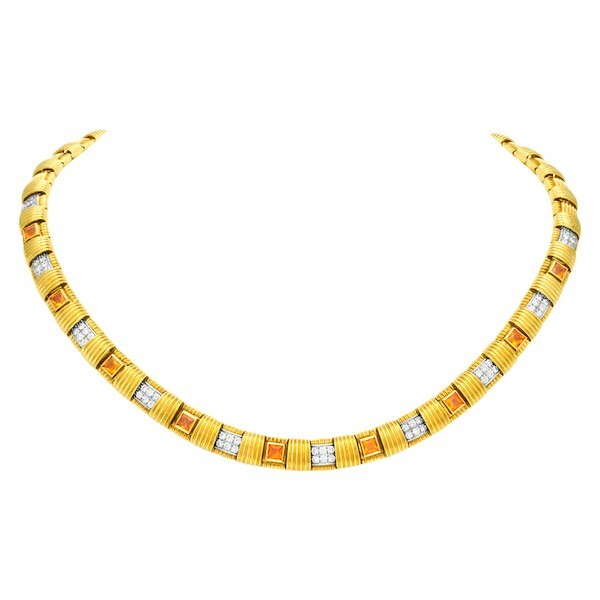 On the other hand, for a show-stopping designer jewelry piece, there’s the Roberto Coin Appassionata Necklace in 18k yellow gold with alternating diamond and citrine stones. As you can see, if you’re a November baby, you certainly have a wide range of birthstone jewelry to choose from. Whether you decide on topaz or citrine, rings, earrings, necklaces, or bracelets, treat yourself to some November birthstone jewelry to celebrate your birthday in style.